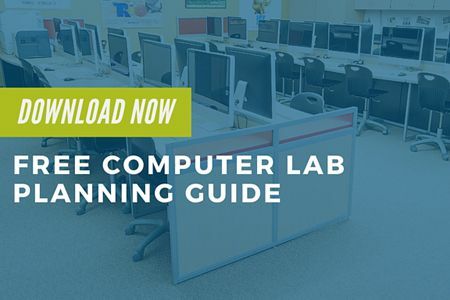 Computer labs used to be a once-weekly privilege where students were able to share a screen for thirty minutes to play the Oregon Trail, or to test their typing speed. 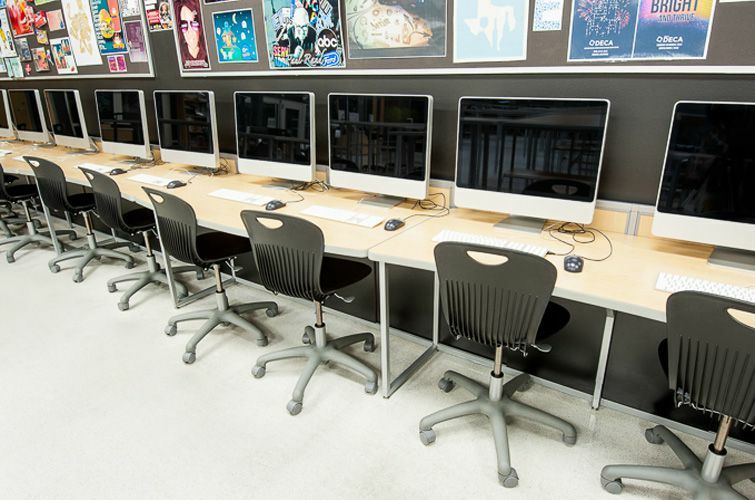 However, the role of the computer lab has changed over the years, with definitions and design that vary by school district. 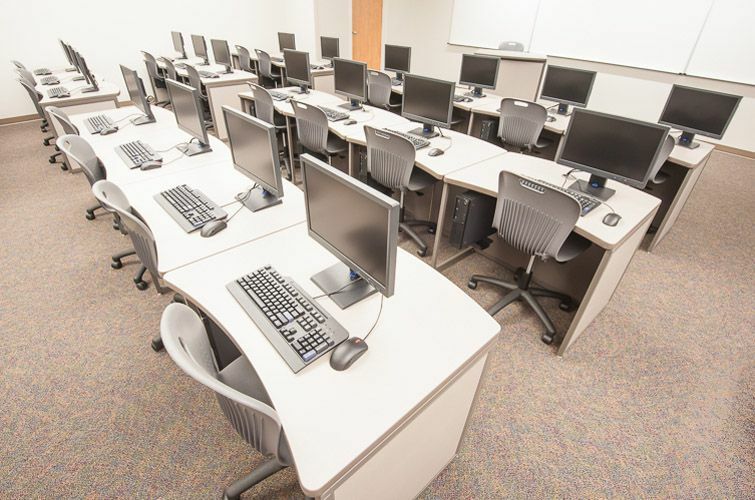 Computers in classrooms now facilitate technology-driven curriculum in areas such as industrial design, animation, and programming. 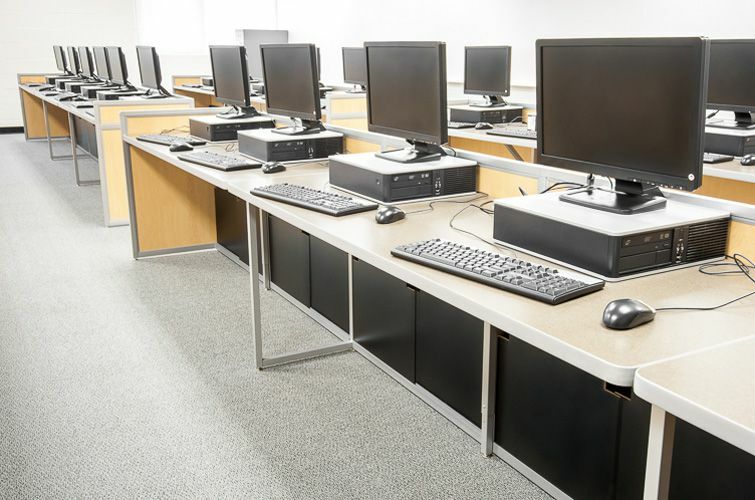 With students employing robust software packages, these technology-rich computer labs require dedicated workstations designed to comfortably accommodate students and their CPUs, monitors, scanners, and printers. 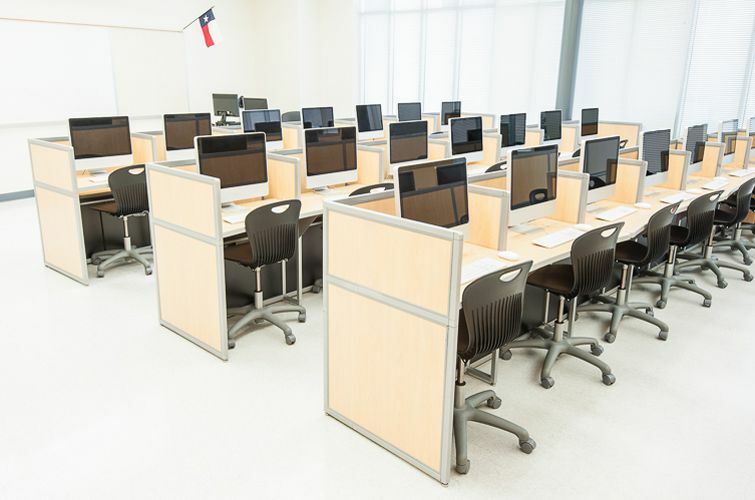 We can help you plan and build a computer lab designed for 21st education that will smoothly integrate technology thanks to our unique chase wire management system. 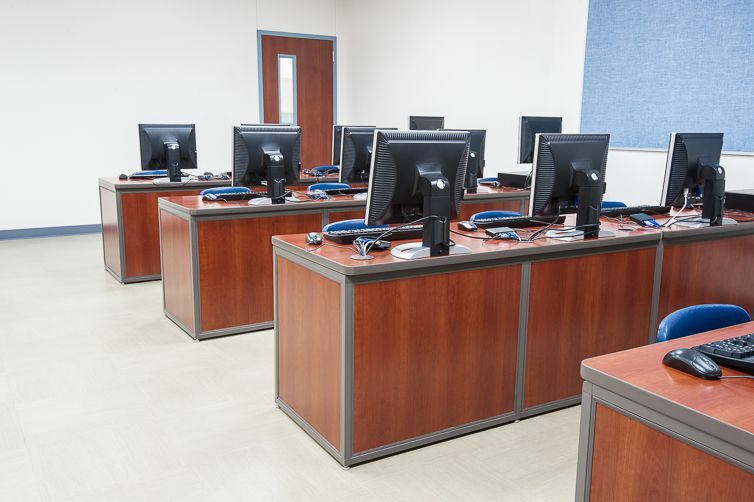 This unique system simplifies equipment connections by hiding wires and cables behind sliding doors, while keeping them easily accessible for the IT department. Your IT department will love our furniture. 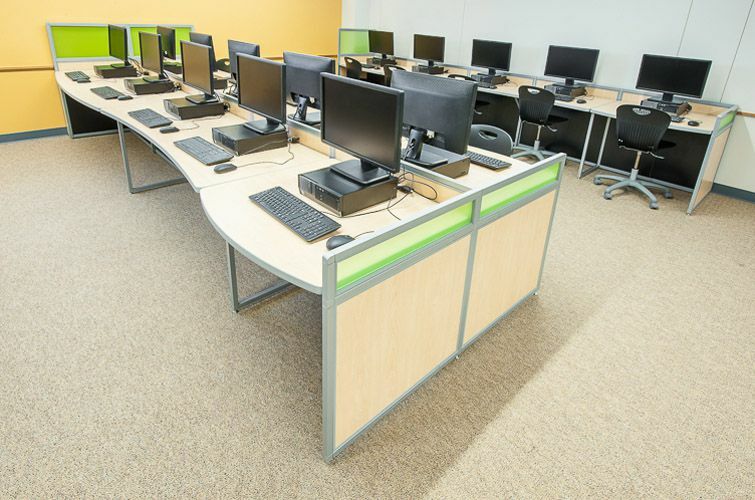 Computer lab design possibilities for your computer lab furniture are endless when you choose furniture by Interior Concepts. Choose from straight or concave tops, panels above or below the work surface, and length, width, and depth can be modified by the inch ensuring you make the most of your space. We will even work about building obstacles like columns and heating vents, and seamlessly integrate accessible stations into the design. 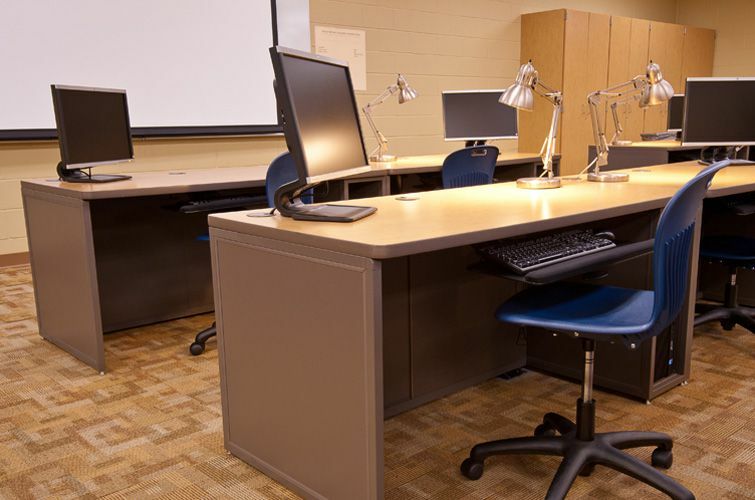 Not only is our school furniture made in the USA, MAS® Certified Green, and backed by a lifetime warranty, we have specialized in designing furniture for schools for over twenty years and have completed thousands of installations. 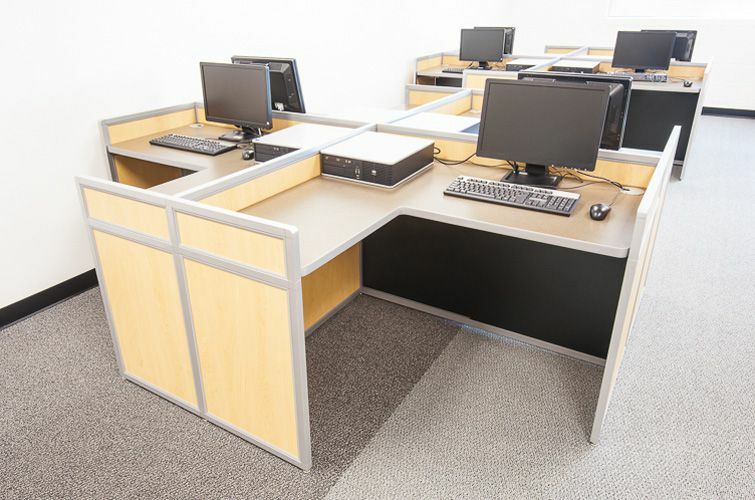 Our designers are familiar with the nuances of floor planning for learning environments and will help you to create a functional and productive space. Discuss your specific design needs with our experienced project managers with an online ImagineIT! 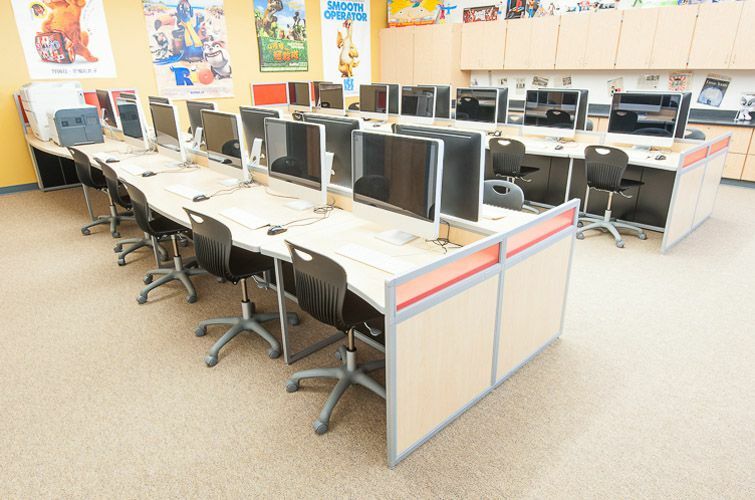 Design Session and design computer lab furniture to meet the needs of your unique learning environment.